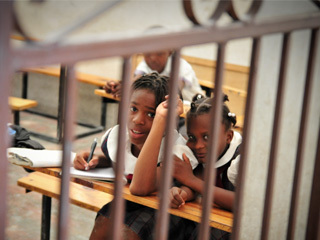 Jubilee Christian Academy is comprised of a primary and secondary school at the main campus in Carrefour, Haiti. There are over 360 students at this campus and every year we accept more. Consequently, the school is constantly undergoing construction. Currently we have one library, a computer lab, a science lab, a cafeteria, two floors of classrooms covering grades 1st through 13th, and a sports area on the roof. Soon we hope to add two more classrooms to hold our expanding student body. 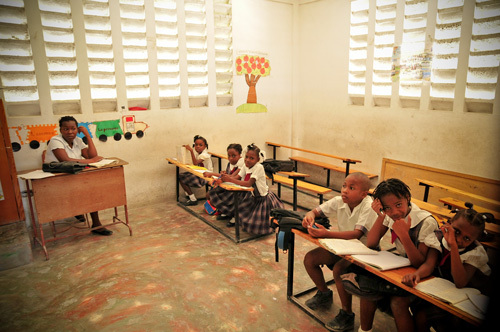 The Haitian school system is in many ways similar to the French model; there are 13 grades, three terms per year and we break for summer. 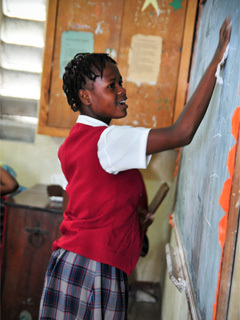 Students in Haiti are also required to pass exams in the 6th, 9th, 12th, and 13th grades to be able to proceed to the next grade. We are and have been using the ACE curriculum. We have found that the ACE curriculum maintains high Biblical and academic standards and remains committed to setting children on a path for success. Their goal is the same as ours: to prepare children for the world today and give them the academic and spiritual tools necessary to achieve their God-given potential. Jubilee Christian Academy is a highly regarded school in the community and one of the highest quality schools in the area; meeting and exceeding most governmental standards. 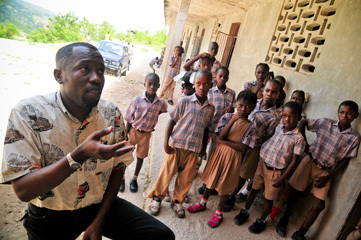 In 2009, for example, we were one out of only two schools in the town of Carrefour who had 100% of their testing students pass their government exams (there are over 600 primary schools in Carrefour). 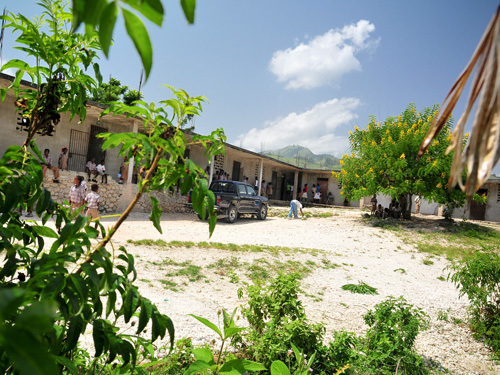 Breath of Life Christian Academy is located in the mountainous rural area of Taifer, Haiti. For many years there was never a consistent school in Taifer. Foreign missions groups and missionaries would come to Taifer and start a school and make big promises about the changes that would happen. But nothing ever changed and to make matters worse as soon as the money dried up the school would die. Eventually the people of Taifer came to believe that the area was cursed; nothing good seemed to be able to happen there. The few parents that wanted their children to go to school had to send them to the nearest ones in Carrefour. Then it happened: a young girl woke early one morning, before the sun had risen, to start her several-hour journey to the nearest school in town. On her way she typically had to ford her way across a river. On this particular morning, however, she had not realized that it had rained all night and when she stepped into the river she was washed away, never to be heard from again. At first the people of Taifer were skeptical; after all, that place was cursed. At best, they thought that Jean was only someone with a lot of money and maybe he could help them for a little while. This was not the case, however; the school came and stayed. 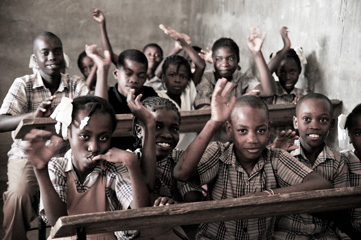 Since 1999 Breath of Life Christian Academy has been educating the children of Taifer and it is still going strong. There are over 200 students that attend grades 1st through 6th. It is the only school in Taifer. For some time there were about 600 students attending the Taifer school. However, due to the increase in food costs and the decrease in available funds the food program had to be cut so that the rest of the school could survive. For many of the students this was the only meal they received in a day and some of them walked for hours just to get there. 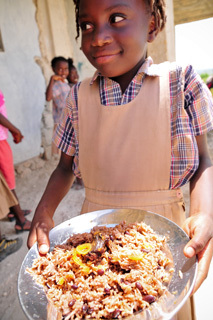 Without a meal they would be too weak to focus on their studies and make it back home safely. It should also be said that many of the parents prefered to have their children stay home to do chores rather than get an education. The food program was, however, enough incentive for some parents to send their children. If the food program were restarted it is likely that the student body would triple to its previous size. 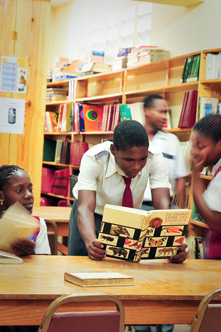 The average cost for educating a single student in Taifer is US$20 per month. 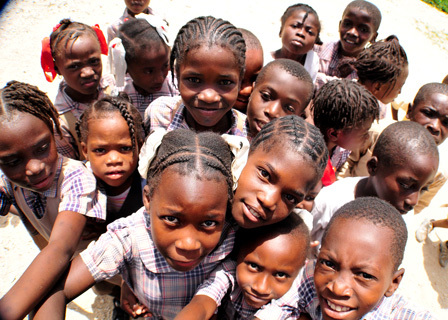 The average cost for feeding one student for a month in Taifer is US$20. 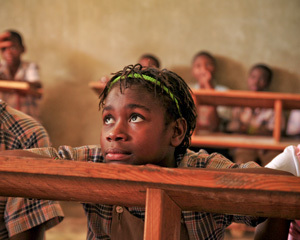 $40 per month is all that is needed to sustain a student at Breath of Life. But this is not what they are required to pay. For many of the parents $40 is as much as they make in a month. 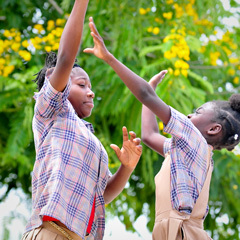 Consequently, US$5 is all we ask them to pay per month and that is only so that they feel some level of responsibility for the education they are receiving. Nevertheless, some students cannot afford even $5 per month yet we let them come. Education is important enough to Shabach Ministries that we are willing to pay for a students education just to keep them off the streets and to give them the ability think for themselves. If they don't know how to think for themselves, then, as is often the case in Haiti, someone else will think for them and exploit them. If you would like to help in the privilage of educating and feeding a child please click here. 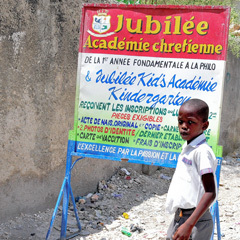 Jubilee Kids Academy is located at the main campus of Shabach Ministries International in Carrefour, Haiti. 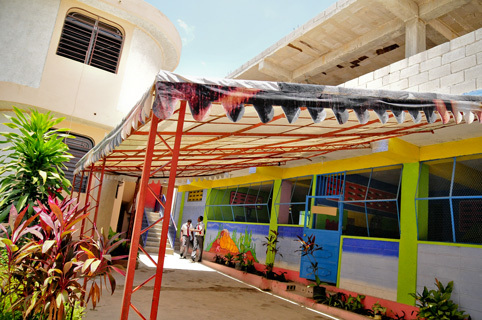 It is a pre-school and kindergarten designed to prepares its students to enter primary school. There are currently four classes which hold about 30 students each.